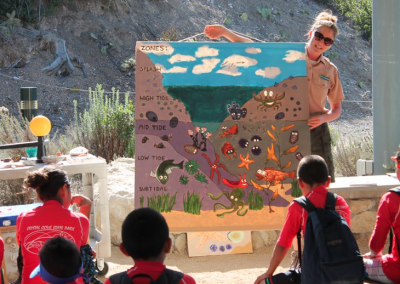 All our in-class programs are curriculum-based, fun, and interactive and can be adapted to any grade level. 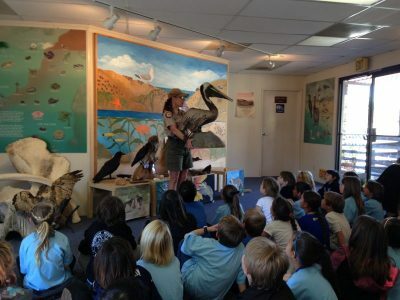 We use taxidermy mounts, bones, skulls, pelts, and puppets to enrich our presentations. We involve the students in critical thinking and problem solving by asking questions, playing games, and listening to theme-related music. 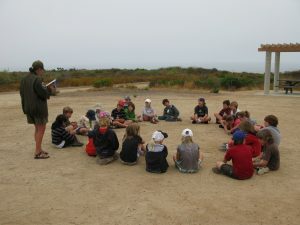 Ultimately, we strive to mentor the students so that they gain a lifelong appreciation of nature and the environment. 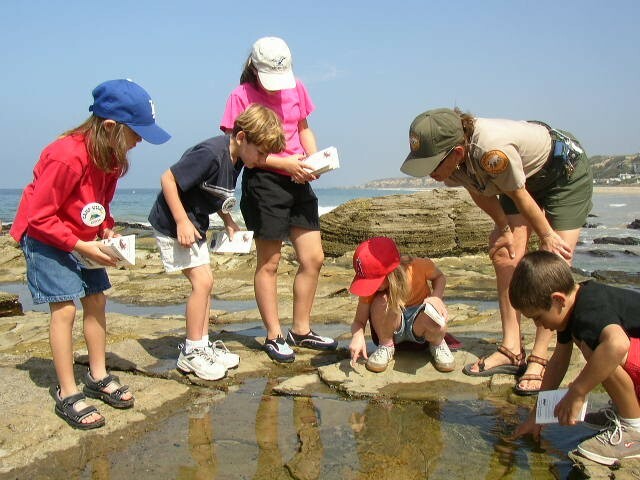 Tidepools are a fragile ecosystem brimming with life. In this interactive program, students learn about tidepool organisms’ adaptations, defense mechanisms, and feeding strategies. The in-class presentation is followed by gentle exploration of the tidepools which allows children to appreciate these magnificent invertebrates that rely on the rise and fall of the tides to provide food, shelter, and space in their actual environment. 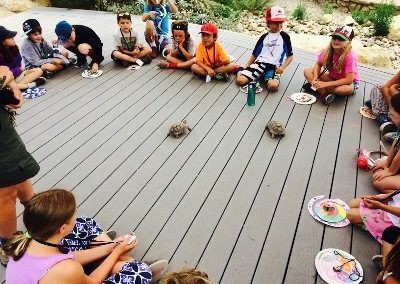 This program focuses on the scaly, slimy, stingy, stinky, and even scary creatures that people hate to love. Through the use of stories, Unhuggables props, and games students will learn that all living beings have an ecological role and in some cases, use interesting defense mechanisms to protect themselves. Gray Whales swim nearly 6,000 miles to mate and have their babies. Then, they swim nearly 6,000 miles back to their feeding grounds. In fact, this enormous cetacean makes one of the longest migration of any mammal on Earth. This interactive program details both the biological and the behavioral characteristics of the California State Marine Mammal. In this program we discuss the major threats facing our native flora and fauna due to human activities such as habitat destruction, overharvesting, and pollution. We run the gamut from extinction (Saber-toothed cat) to locally extinct (Grizzly Bear) to how through proper management practices some animals have bounced back from near extinction including the California Brown Pelican and the Pacific Gray Whale. 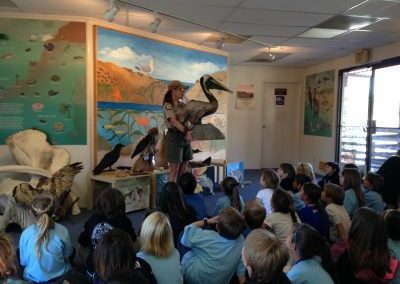 Animal mounts, bones, pelts, and puppets are used to discuss food chains, biodiversity, defense mechanisms, and conservation of some of the Park’s animals including mammals, birds, fish, and reptiles. All animals develop both biological and behavioral characteristics that allow them to survive in their environment. 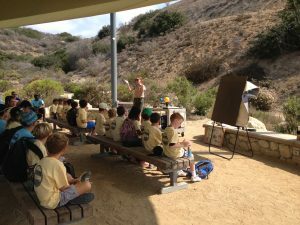 This program focuses on mammals, both marine and terrestrial by sharing fascinating facts about seals and sea lions, opossums, and mountain lions. The beach is not a giant ashtray! What goes up, must come down! This program focuses on the devastation of the marine environment due to pollution including trash, oil spills, and household chemicals and encourages students to analyze their own actions and to brainstorm solutions to the marine debris problem. Human skeletons share many similarities and differences with animal skeletons. 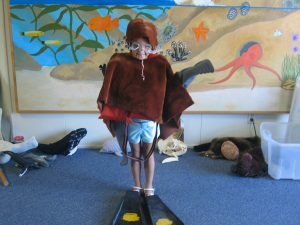 This engaging program explores the different families of vertebrates sharing fun facts about mammals, fish, reptiles, amphibians, and birds, and using bones, both real and clones, skulls, and even Bucky, our life-sized human skeleton. 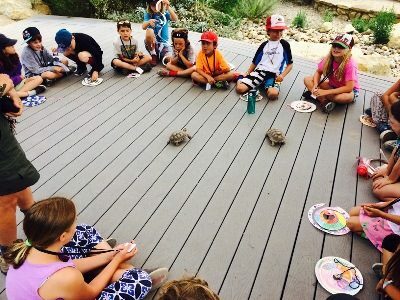 and animals, the Native Americans use of local plants, and the problem with invasive species while enjoying beautiful panoramas and canyon views. 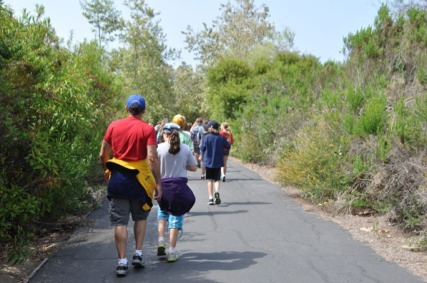 Walk along the coastal bluffs, the wooden boardwalk, down to the beach and along the tidepools, while learning about plants, birds, marine mammals, intertidal organisms, and whatever else we might see along the trail.